Simple Guidance For Tackling High and Low Blood Pressure. Both high and low pressure are dangerous for the health. Both of these conditions warn of imminent danger ahead for the health. All of us need to know the parameters of the heart so that corrective measures may be taken when required, so that the life goes on its regular stream troublefree. High blood pressure is a silent killer. We will not know about it until measuring the pressure. Many times people believe and link blood pressure to be the headache, pain in the heart, breathlessness, hazy or unclear eyesight or feeling giddy. 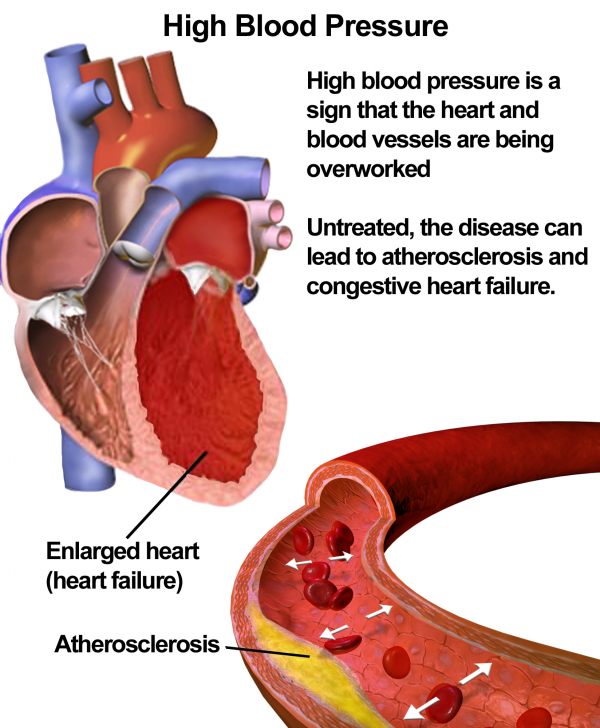 Blood pressure could be the cause of these symptoms but not necessarily so till ascertained. Blood pressure should remain 120/80 mm. If it remains between 120 and 140, then, it is indicating that there is a tendency of having high blood pressure. But reaching above 140 it is sure sign of having the high BP. If it touches 160 and above then the person concerned is in the 2nd stage of having high BP. The causes can be one of the following: Age factor, genetic, Obesity, Sodium in take, taking much of salt, alcohol, lack of physical activity, taking anti-pregnancy drugs etc. After the age of 35 years, the tendency to have blood pressure enhances. Neglecting high BP can be fatal. It is, therefore necessary, to check it on a regular basis and corrective measures. It is essential to remain alert to control the high BP on a regular basis. The high BP keeps slowly rising for years together and can not get controlled on an immediate basis. Drugs can control it for a short term. But to control it fully you need to take drugs on regular basis. We need to take such a diet so that it has a salutary effect on the food intake and the blood circulatory system. The diet should include fresh fruits and vegetables, the cereal, and the milk should have less cholesterol, and protein is balanced. Avoid red meat, sweets and soft drinks. In short junk foods are to be avoided at all cost. When the blood in the body has less pressure so that the oxygen and nutritious energy to the vital organs brain, heart and kidney is not reaching in the correct quantity. If the BP is less than 80 mm then a condition of low BP is said to exist. In such a case, if pressure falls to 60 then a condition of hypertension is said to exist. Between 50 and 60 mm of BP, the person is sure to be affected by hypertension. If one feels giddy and dizziness in the head, this indicates the condition of low BP. The blood does not reach in the right quantity to the vital organs. Low BP results in reduction of blood supply to the heart. Owing to any injury or surgery or genetic effect of less supply of blood to the heart, or deficient quantity of blood supply or thinning of blood can be the causes of low BP. The heart muscles become weak due to low BP, and the weakened heart does not supply a sufficient quantity of blood. The BP has to be checked both in lying down and upright position. The medicine should be altered or stopped only on the advice of the Consultant. In case of dehydration or deficient blood remaining, the necessary amount of liquid or blood is given intravenously. Low BP is curable by taking diet full of fruits and vegetables with no oil or fat. Take 3 /4 small amounts of meals in the day. Avoid rice, potatoes, and bread and any other food having excessive carbohydrates. According to Ayurveda, all treatment are conducted by balancing the three elements Vat ( Air). Pit ( Fire) and Kaph ( Water) can get you well. In Ayurveda, high BP is treatable by having medicinal treatment coupled with healthy and righteous diet and good living style of meditation and yoga. By having balanced protein and minimal fat diet, of fruit and vegetables the defects and faults of disease get cured. For this, you need to reduce the salt intake and add garlic, lime and parsley to your diet. Amongst fruits take Grapes, Banana, Guava and watermelon that are beneficial. Do away with oil, and coffee and instead add cereals and legumes. Add the vegetable gourd and myrobalan, they benefit you a lot. Practice yoga and meditation regularly. Mainly add sheetli pranayama. High and Low BP are part and parcel for day to day living, along with stress in life. The easiest way to get rid, is through laughter; you should laugh with enthusiasm for half an hour on daily basis and another half an hour practice stillness pose ( asana). If practiced regularly, in a few days, you will notice the change for the better. While, sleeping lying on the left turn low BP and on the right turn for high BP a definite balancing of BP is noticeable.